Looking to Consign?!?!?! Sign up here at our FlashConsign Page! Looking to Volunteer?!?! Sign up here at our FlashConsign Page! Looking to donate items to the CWP PAC Consignment Sale?!?! Please email cwppac@gmail.com. We are grateful for and dependent on your wonderful donations! WE ARE PLEASED TO ANNOUNCE THAT THE SPRING CWP CHILDREN’S CONSIGNMENT SALE WILL TAKE PLACE ON March 17, 2018. THE SALE IS LOCATED AT SPRINGFIELD UNITED METHODIST CHURCH. IF YOU ARE INTERESTED IN CONSIGNING ITEMS AT THE CWP CHILDREN’S CONSIGNMENT SALE OR VOLUNTEERING, PLEASE GO TO OUR FLASHCONSIGN PAGE TO CREATE AN ACCOUNT. THROUGH FLASHCONSIGN, YOU WILL BE ABLE TO LOG YOUR INVENTORY, PRINT TAGS WITH BAR CODES, AND TRACK YOUR SALES AND PROFIT. FOR MORE INFORMATION ABOUT HOW TO USE FLASHCONSIGN, PLEASE CONSULT THE FLASHCONSIGN INSTRUCTIONAL GUIDE. FOR ALL OTHER CONSIGNMENT-RELATED INFORMATION, PLEASE CHECK OUT THE PAC CHILDREN’S CONSIGNMENT SALE CONSIGNMENT GUIDE. Who says childhood has to be expensive? Buy the things you need - at a fraction of retail. Sell the things you don't need - and earn some extra cash. The CWP Consignment Sale is the ultimate recycle! PLEASE check out our updated Consignment Guide! 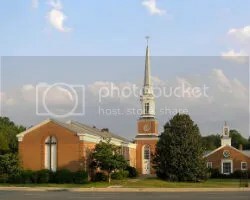 Springfield United Methodist Church is located on Old Keene Mill Rd, just West of I-95 (the Mixing Bowl). For directions from your area, please click on the map below.